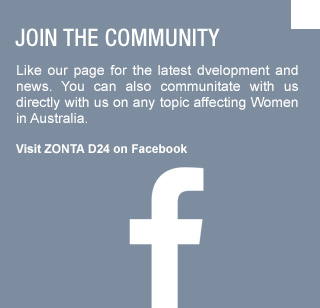 Welcome to District 24 of Zonta International! 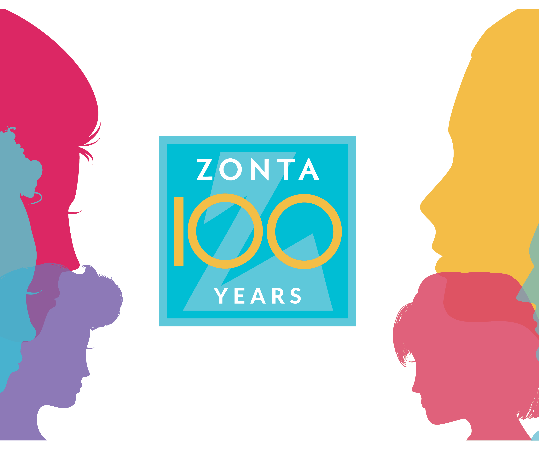 Founded in 1919 as the vision of some 600 women in the USA, Zonta International has blossomed into an organisation which today engages the mind and spirit of over 30,000 women and men in more than 1200 clubs located in 67 countries around the world. Zonta International is proudly non-partisan and non-sectarian, with members from a diverse range of cultures and working roles. 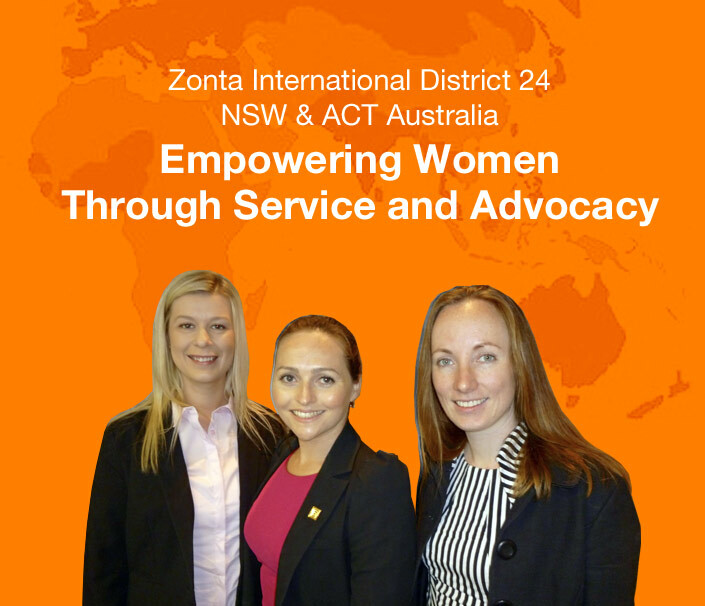 Zontians in District 24 (covering most of New South Wales and the Australian Capital Territory) voluntarily apply their time and talents to working locally and globally, on a variety of service projects and advocacy initiatives, to advance the economic, professional, educational, health, legal and political status of women.